Los Angeles, CA — Armando Viramontes, Jr. (03-28-73) pleaded no contest today on two misdemeanor counts of Penal Code Section 597Z(a), sale of dogs under eight (8) weeks of age and on two misdemeanor counts of Penal Code Section 597.4(a)(2), selling live animals in a public place. The plea took place in the Los Angeles Superior Court in Bellflower, Department 6 with the Honorable Judge Deborah L. Sanchez presiding. Viramontes pled open to the court and entered into a one-year diversion program involving the completion of 24 animal cruelty classes and a court order to not own additional dogs. A restitution hearing is scheduled for February 3, 2017. The conviction of Viramontes is the result of an undercover sting by the Animal Cruelty Investigations division of the Society for the Prevention of Cruelty to Animals Los Angeles (spcaLA). 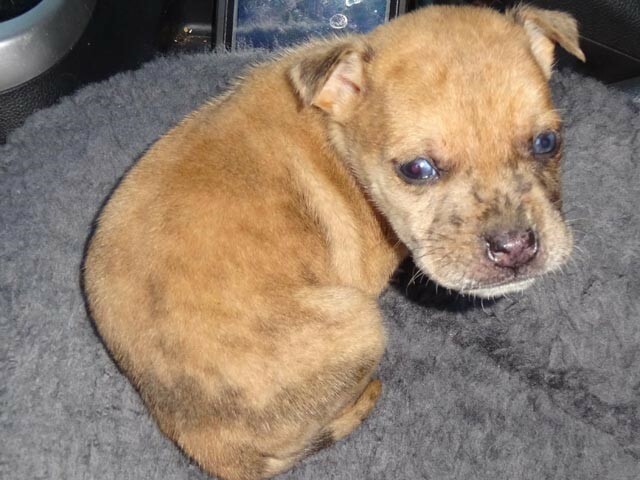 On December 15, 2015, spcaLA received an Animal Cruelty Tip from a consumer who had purchased a puppy on December 12, 2015 from Viramontes through a CraigsList ad. She paid $250 for a Labrador/Shepherd puppy sold from the back of Viramontes’ car in a parking lot. Two days later, the puppy, weighing only 17 ounces and approximately 2-3 weeks of age, was lethargic and unresponsive. The puppy went into distress and required life-saving medical intervention. Upon investigation it was discovered that Viramontes was attempting to sell another underage puppy and possessed no license to sell animals. It is against the law in California to sell puppies under 8 weeks of age. Underage puppy Viramontes attempted to sell.